Newcastle trainer Kris Lees is confident his well-bred three-year-old Furore is ready to go in Saturday’s 2018 Australian Derby where the step up to a mile and a half looks set to suit. Jockey Brenton Avdulla has the ride on Furore in Saturday’s Australian Derby 2018 field at Royal Randwick. Photo: Daniel Costello. Due to run as Royal Randwick Race 7 at 3:10pm (AEST) on Day 1 of ‘The Championships’, there is a capacity field of young stayers engaged for the Group 1 $2 million Harrolds Australian Derby (2400m). Despite the full line-up, just four of the runners are under $10 for the win in the latest Australian Derby odds at Ladbrokes.com.au including the in-form Furore at $7. The son of Pierro comes into the race having won his four career opening runs in non-stakes grade and the luckless last start third in the Group 1 Rosehill Guineas (2000m) on March 24. Furore was only two and a quarter-lengths beaten when finishing in the money behind Saturday’s Doncaster Mile hopeful D’Argento in the Slipper Day Group 1 proving he could handle the rise in class. He gets the chance to finish two better this weekend in his second elite level success where Lees believes the extra distance will on work in his horse’s favour. “Furore is in great order and ready for the Derby,” he told Racing NSW. The Rosehill Guineas has produced three of the past five Australian Derby winners and has been the standout form line to follow over the past 20 years. 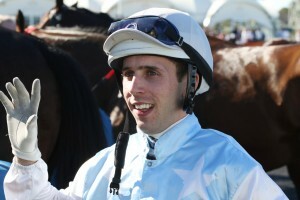 Jockey Brenton Avdulla retains the ride on Furore this weekend, the horse trailing only David Payne’s VRC Derby champion Ace High ($5) in the Australian Derby odds. Furore is drawn in barrier eight for Saturday, which could become seven if the two emergencies fail to gain a run. Race favourite Ace High is drawn closer to the rails with barrier two, the High Chaparral colt looking to improve on his lead-up sixth in the Rosehill Guineas. The other single-figure chances in Australian Derby betting this season are NZ Derby winner Vin De Dance ($9) who is one of four for last year’s winning trainers Murray Baker & Andrew Forsman and Belfast ($9) out in barrier 17 (into 15). Lees meanwhile has a total of eight runners across the card on Saturday including runners in two of the other Group 1 events. In the Group 1 $2.5 million TJ Smith Stakes (1200m) he saddles-up three-time Group 1 winner Le Romain, while in the Group 1 $3 million Doncaster Mile (1600m) the stable is dually represented by Prized Icon and Invincible Gem. To back the Lees’ contingent at Royal Randwick at the best autumn odds this weekend head to Ladbrokes.com.au today.